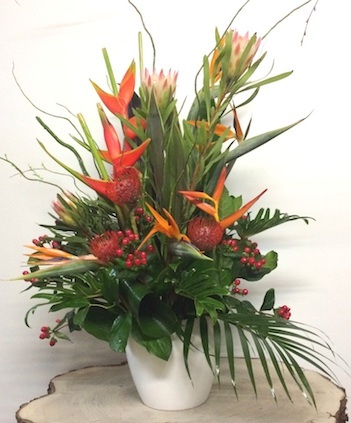 Mixed exotic flowers : Héliconias, proteas, birds of paradise, hypericums and branches. 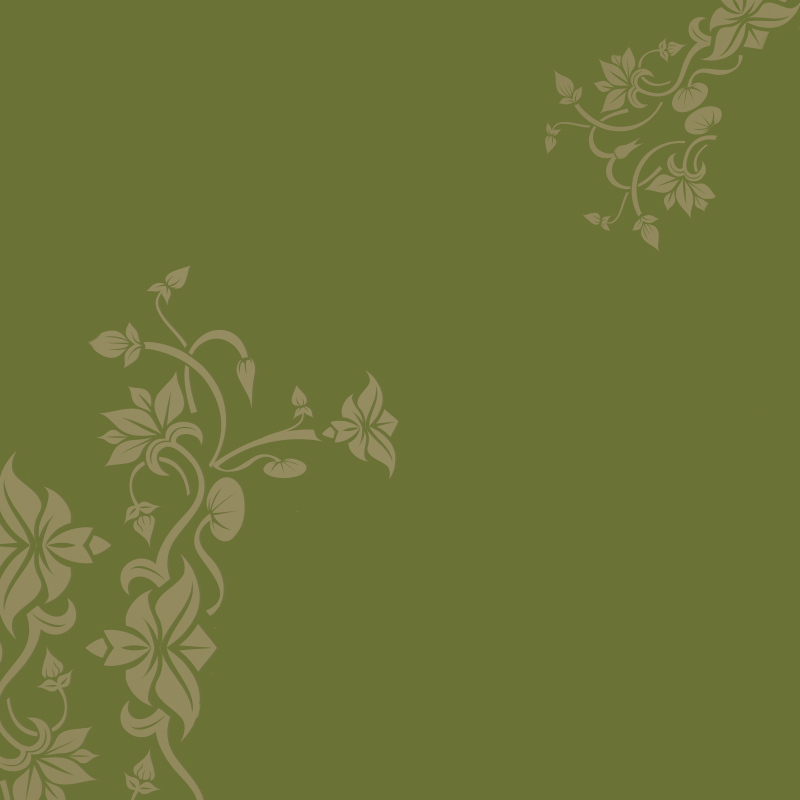 Must be ordered one day before due date. 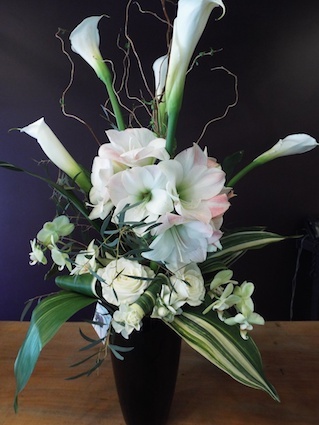 Callas, amaryllis and orchids, sober and elegant bouquet. 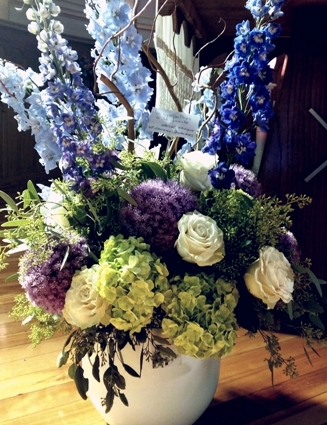 Delphiniums, alliums, roses and d'hydrangeas arrangement. 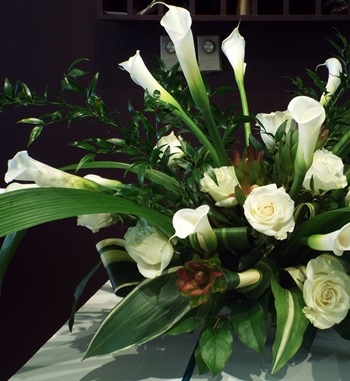 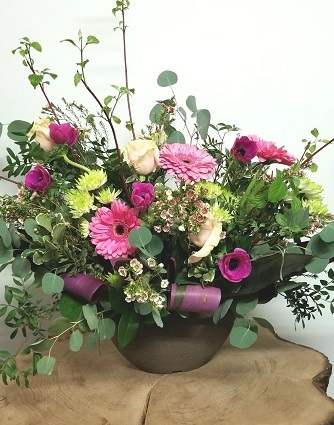 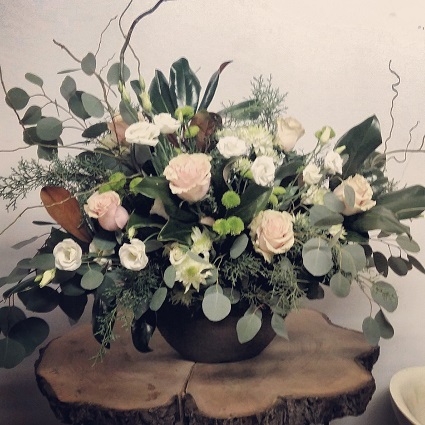 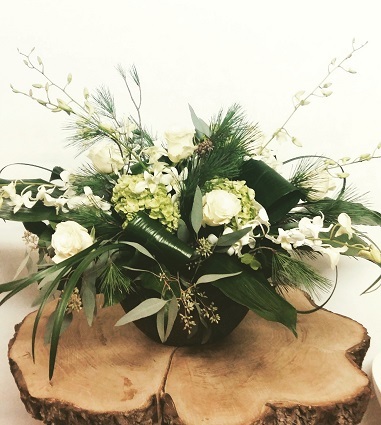 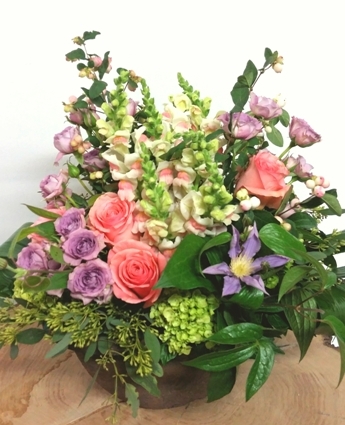 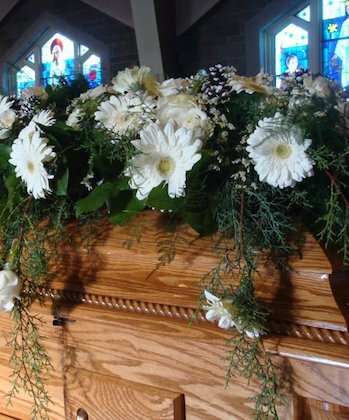 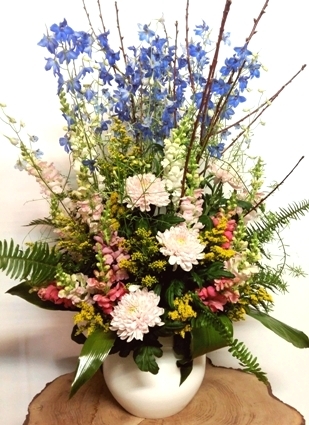 Roses, chrysanthemums, lisianthus an eucalyptus, a beautiful funeral bouquet.